Welcome to my stop on the MScraps Blog/Facebook Hop (train)! Now head over to Anita Designs facebook fan page to collect your next gift. 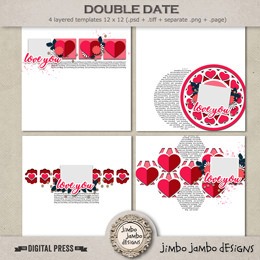 P.S If you like this freebie become Jimbo Jambo Designs twitter or facebook fan- where you'll find more info about freebies, sales & coupon codes!! - I'm planning to make a coupon giveaway this weekend to celebrate the party!! Hi! Very pretty, thank you. I can't wait to see it up close! LOVE circles ! Thank you. Very creative template! Thank you!! Thanks so much! What a cute template! Thank you so much for this post. I want to let you know that I posted a link to your blog in CBH Digital Scrapbooking Freebies, under the Page 5 post on Aug. 30, 2011. Thanks again. Thank you for this freebie layout.